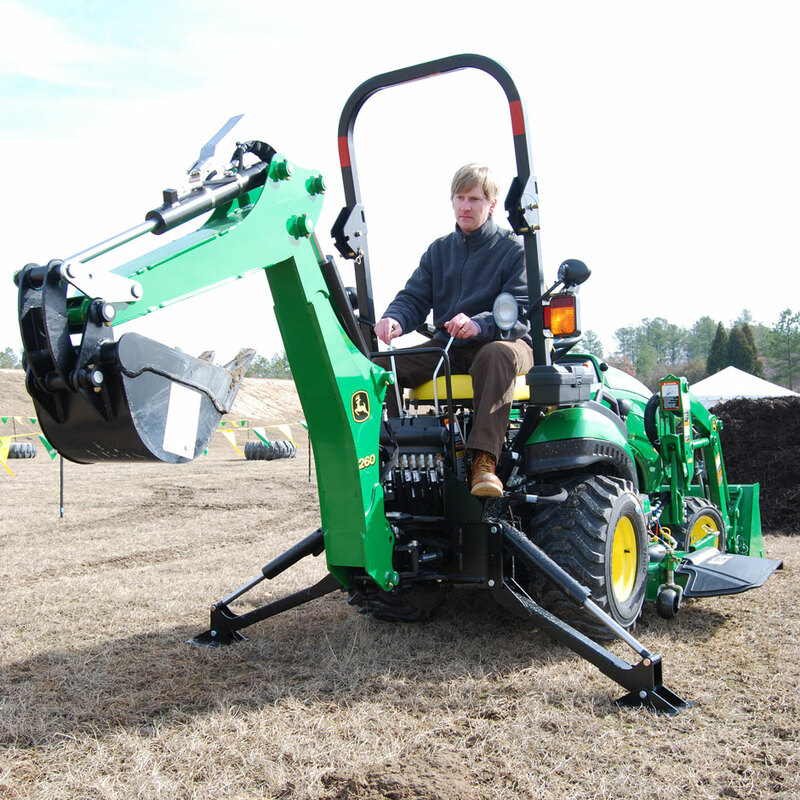 I met Dan Cary at a John Deere event a few years ago, and we bonded over our joy of racing lawn tractors. At the time he was working as an editor at Handy Magazine and has since moved over to the digital side at Woodworkers Journal. 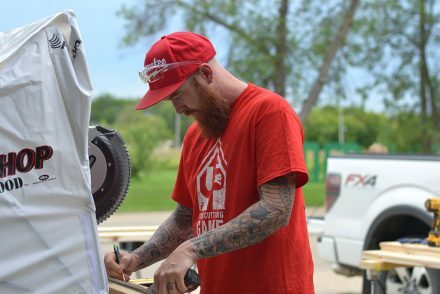 Dan not only writes about tools, but can use them to build fun and useful projects such as this childrens work table and kids play kitchen. 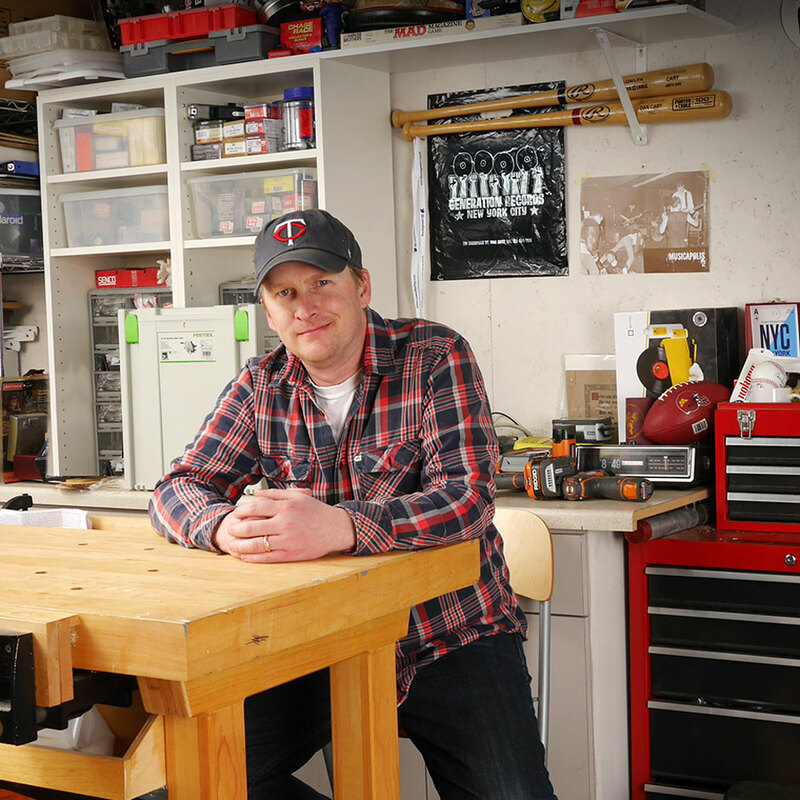 Continue reading more about Dan and why an ice pick is one of his go-to tools. I really didn’t learn how to use woodworking or construction tools until after I graduated from college. My parents were not woodworkers or builders. 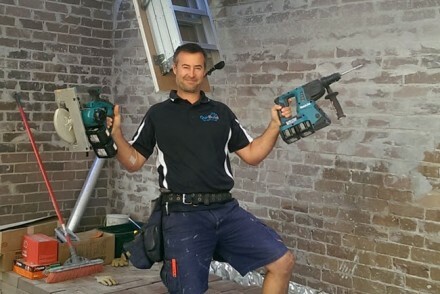 They didn’t have a lot of tools, but they were creative and they weren’t afraid to tackle general home maintenance projects. One of my grandfathers was a farmer and the other did woodworking as a hobby, so I guess I saw them working on projects and repairs a lot. Unfortunately, I never got the chance to do much hands-on learning from them. I wish I had done more work with tools as a kid, so I am trying to get my kids in the shop, working with tools, and learning about building. 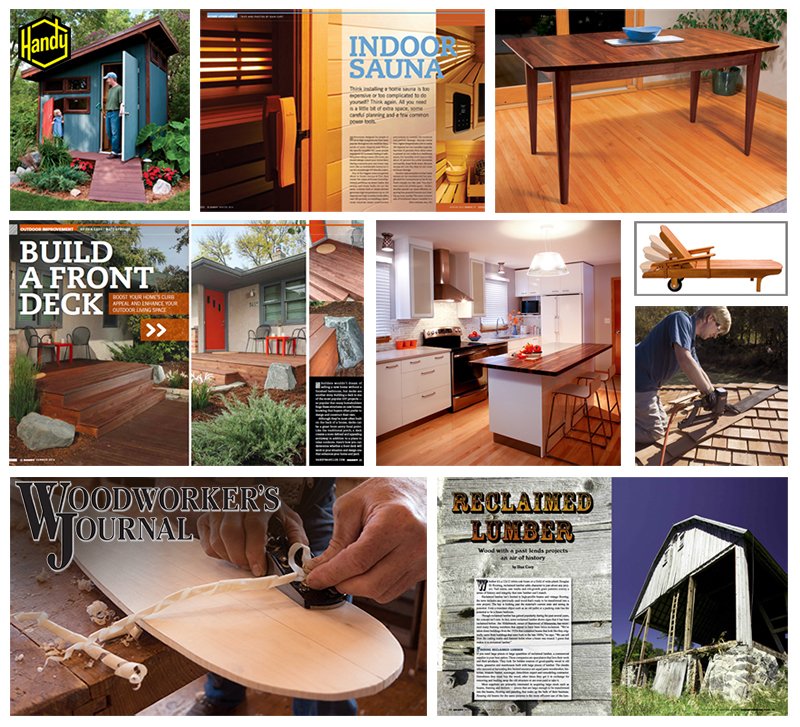 My most valuable learning experiences in terms of building things came from working as an editor and photo assistant at a studio that produced woodworking and home improvement books and magazines. 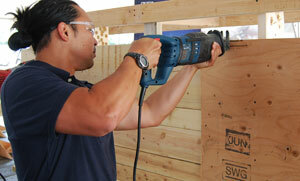 I got to know a lot of skilled craftsman and experts who wrote those articles and were willing to teach me. I was never afraid to make mistakes, so I learned a lot by simply jumping in (sometimes over my head) and learning things on the fly to save myself. Unfortunately, I don’t have much of a workshop right now. For many years I had the luxury of having access to my employer’s workshop that was also near my house – very convenient. I changed jobs and now work for a company that isn’t located as close to home, so I’m currently planning a new shop at my house. In the meantime, all of my tools are stored in a small workshop/utility room in my basement. It’s a typical small, basement workroom with a few cabinets and shelves. The only notable feature of that space is my workbench. It’s traditional woodworking bench that is very solid and features a couple nice vises. What tool(s) always stay in your toolbox and never go in storage? Why? That’s tough because I do such a wide variety of projects. 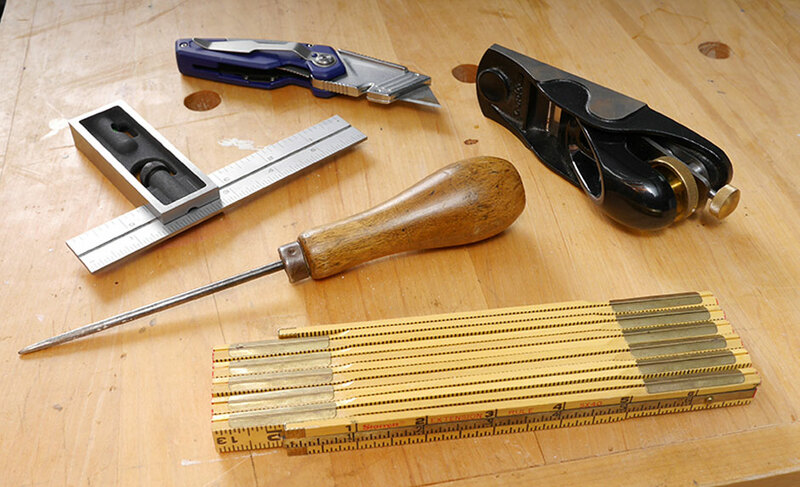 The obvious answers are the typical go-to tools that everyone uses on most projects – tape measure, pencils, utility knife, pliers, screwdrivers, scrapers, drill/driver, etc. A few less common tools that I use surprisingly often are my small low-angle block plane (a Veritas Apron Plane), an old folding rule, a 6-in. combo-square and an old wood-handle ice pick. I bought the ice pick at a yard sale a long time ago. I use that pick more or less as an awl to make starter holes for screws, mark parts, clean other tools, etc. (sometimes I actually use it as it was intended and chip ice with it). I like it so much that I’ve bought others when I come across them, to have as backups. Most of my tools are never too far out of reach. I keep most of my tools in a couple rolling mechanic’s tool chests with drawers (I don’t like hanging tools on pegboard or slat walls.). 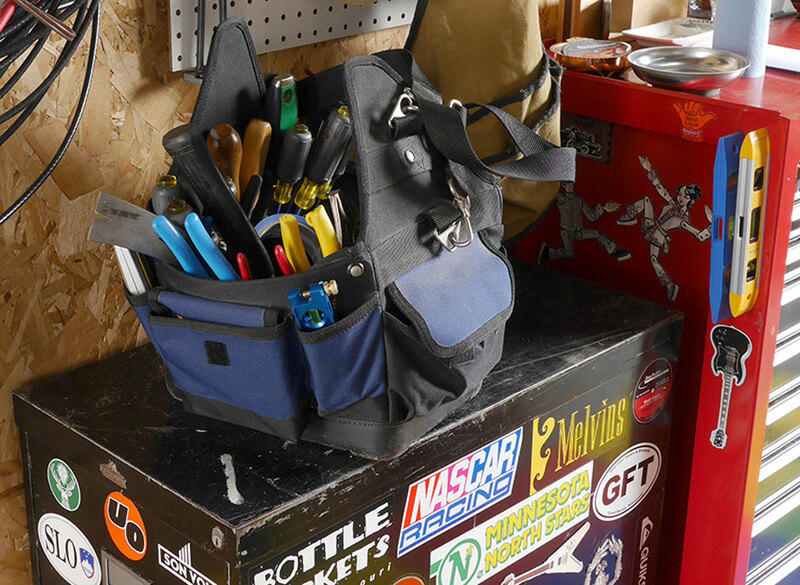 I keep the 30-40 tools that get used most often in an open-top tool bag. I also have several small toolboxes/bags that contain specialty tools for specific types of work. 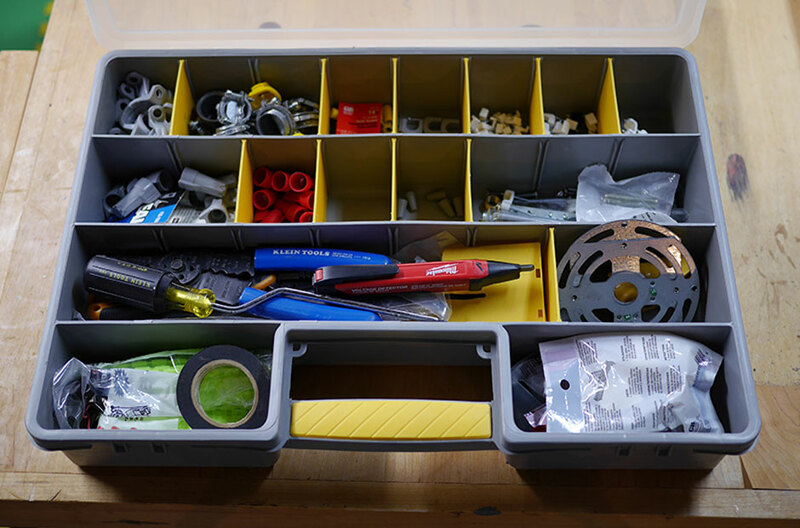 For example, I use a flat storage box with movable dividers (designed for hardware), to store my electrical hand tools and small accessories. I’ve been very happy with that system. In a fire, what tool(s) would you save above all others? Why? I wish I had a more interesting answer, like a family heirloom tool that had sentimental value, but I’ve had to accumulate most of my tools myself. I’d probably just grab my tool bag. The tools in that are in that bag have developed over so many years that it would take me a while to remember everything to recreate it (Now that I think about it, I need to take an inventory of that bag as an emergency reference). All my other tools could be easily replaced. 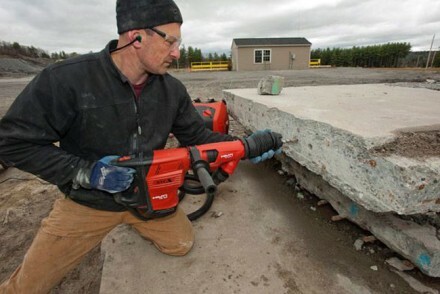 If I were to save one power tool, it would probably be my track saw. I really love that tool. Designing projects. I love the process of creating a new project and the problem solving that goes into planning a project. Sometimes, after I complete a design, the actual hands-on building of the project feels like it’s just extra work. I do enjoy building, but I often find myself impatient and wanting to get projects done so that I can move on to planning the next one. A lathe. I did a little woodturning many years ago and I’m very interested in picking it up again and learning that skill.